That, of course, is the use of ambient sounds which really fill out the mix. Whether that's some ghostly little nuance, or a sample of something natural, even the preacher used in "The Sickening Sermon", which might have seemed a little obvious a choice, but wasn't something I'd heard much of lately. 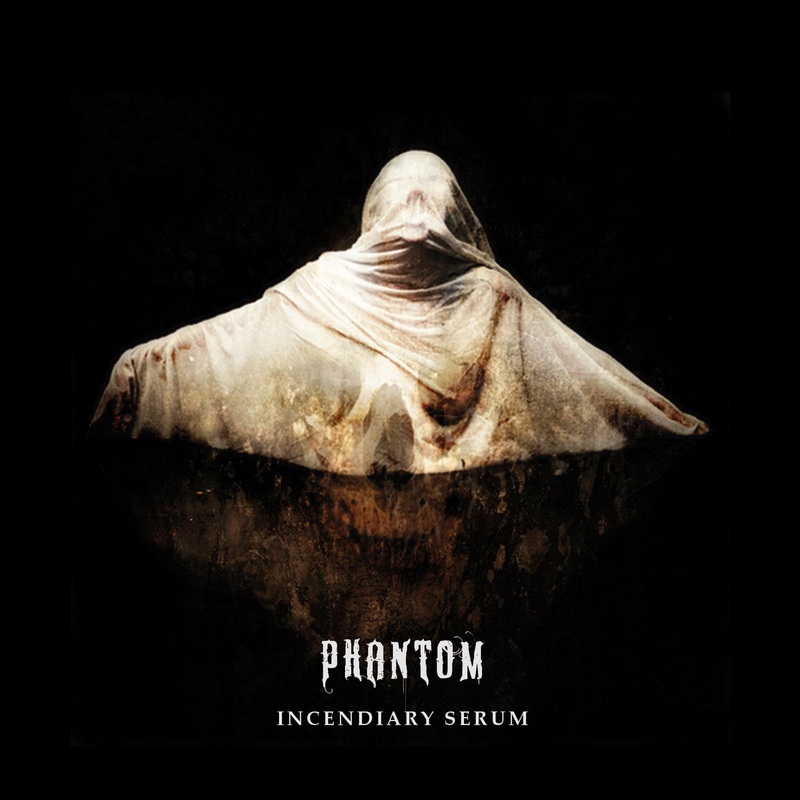 At any rate, this addition really gives Incendiary Serum a sort of 3D panorama of sound, with subtleties that made even the more banal metal components seem fresher than they might otherwise have proven. It's a small thing, really, and Phantom might not approach it as some technological wonder of production, but you have to wonder why so much of music hasn't evolved more in this direction. I understand that there's a natural adherence to core rock instruments in the field, but I think the human mind is really capable of translating these lavish environmental sounds into the riffing and growling, traditional experience, and I for one am ready. Usually when you attribute 'ambiance' to a band, you're talking specifically of passages in the songs that are scripted to that effect, or the surplus of atmosphere created by repetitious, resonant chords, but here it is a more literal, subtle distraction that intensified my overall reaction to the music. Otherwise, this is vaguely symphonic with lots of pianos and grandiose synths that enforce the airy, 'phantasmal' rhythm guitars which are more or less a standard slew of genre tropes with a few more interesting, memorable variants spliced in. There's a slight berth of dissonance or psychedelia in how they compose, whereas the momentum of several songs recounts modern Rotting Christ (Triarchy of the Lost Lovers and beyond), with some threads of golden melody grafted onto the starlit night-sky mood that so many of the songs evoke. Shades glimpsing off some ancient battlement at the firmament. Lyrics are sufficiently creepy, more so than the songs. Death and black rasps intertwined, with not a lot of distinction among many other acts, but clearly some grotesque emotional attachment to the subject matter. The mix of the drums also felt really fantastic, and the cleaner bass lines helped create a 'classier' depth of sound than you'd find on your average basement black metal effort, for better or worse. Ultimately, this was an album I spun through a number of times, and semi successful, but it was that sparse ambient subtext that was the prime draw, and even then they could have used it more pervasively and I wouldn't have disapproved. A decent album. Another Danish band to watch, and with a stronger song set and some more creative guitars, potentially one to follow.